The lawn is often the first impression of your property. It is the bedrock of the garden, the canvas that is the focal point for all surrounding elements. A well-maintained lawn gives you a sense of pride, as any gardener will know, a lush carpet of green does not just present itself without due care and attention. The effort is worthwhile though, as you relax in your garden with friends and family, watching the children play barefoot on the grass, enjoying all that it has to offer. And who doesn’t immediately skip back in time when they hear a petrol mower cranking up, or smell the undeniable fragrance of freshly-cut grass - a sure sign that summer is here. After months of rain, cold weather and little (to no) maintenance, your lawn may look tired and scruffy and will need some help to bring it back to good health. We recommend the first mow of spring to be done on a high cut, on dry grass. Depending on where you live, the last week of March to the first two weeks of April is the typical timeframe for that first cut. By April, mowing will increase to every two weeks, then ten days, possibly even becoming weekly. Ensure you are mowing frequently from May onwards to encourage the roots to spread, which will help to block out weeds and fill any gaps. Begin by clearing the lawn of any twigs, leaves and other debris. 2. Aim to get close to the soil on your first mow of spring, in order to kill any moss. Trim off the top third of the growth with the lawnmower blades on the highest setting. After this first cut, the lawn will need mowing once or twice a fortnight at this time of year. 3. Ensure the grass is not too wet before you get started and remember to watch out for any spring bulbs! 4. Trim the edges of your lawn to create crisp lines and achieve a neat finish. 5. Scarifying - rake the lawn by hand to remove the dead moss and improve filtration to the soil. 6. Aerate the lawn - use a fork to spike the soil every six inches, going at least four inches deep. 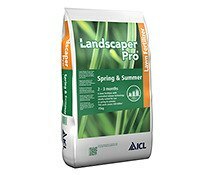 This is to help with any compacted soil - it promotes healthy growth as it improves drainage around the grass roots. 7. Topdressing - spread over the lawn and brush into the holes pricked with a fork. Be careful not to walk on the lawn when doing this - use a plank to avoid squishing the holes shut. 9. Feed and condition - just like the other plants in your garden, your lawn needs feeding too. 10. You can sow grass seed now to cover bare patches, but generally, early autumn is better for seeding. In late spring, you can overseed. This helps to thicken the lawn, in-fill damaged or thinner areas, improve the lawn colour and reduce weed and moss invasion. Dandelions can prove to be particularly troublesome for many gardeners. They establish deep roots in the soil and hence harm your lawn’s growth. Use a weedkiller or a dandelion weeder to eradicate this problem. Remember, a lawn is not just about neatness - tall lawns attract an abundance of insects and wildlife, so follow your own rules when it comes to aesthetics. And take time to enjoy the fruits of your labour - sit in the garden and connect with your senses: feel the grass between your toes, take in the fragrance of the flowers and relax with the sound of the wildlife all around you. 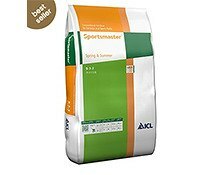 An all-round granular fertiliser that breaks down quickly to give rapid uptake of nutrients. The industry standard fertiliser. 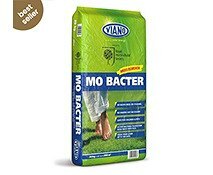 A granular organic fertiliser which rids your lawn of moss, feeds grass and improves the soil. A triple action granular compound fertiliser that provides a weed, feed and moss killer all in one. A double action, mini-granular, compound fertiliser to feed and weed the lawn. Contains three selective weedkillers. Lawns, tennis courts, cricket pitches and bowling greens. 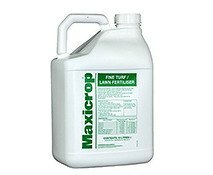 Stimulates soil microbial activity, increases rooting and tillering. 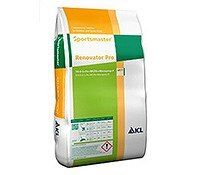 A high impact fertiliser formulated to give a strong immediate response combined with up to 3 months longevity.